Some members of the NGO itself as representing Moroccan doctors who stayed in Guinea, the visit of King Mohamed VI in Guinea is already distributed with objects of victims, and the clothes they had taken from the corpses. Others seek to access the graves of other victims in exchange for large sums of money against any information on the locations of graves. The jihad of the West African region have opted for a new weapon more deadly for more victims of terror in their project. 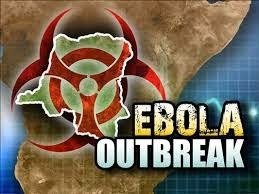 Technical inferiority to the armies of the sub-region, assisted by Western powers; AQIM and Boko Haram wants to find in this epidemic of Ebola, a way to paralyze the subregion and quarantine around the world. Hopefully with the speed this virus kills, these Ebola wannabe Kamikazes will die well before reaching innocent towns, villages, cities, or managing to get on a plane and spreading it to another country.